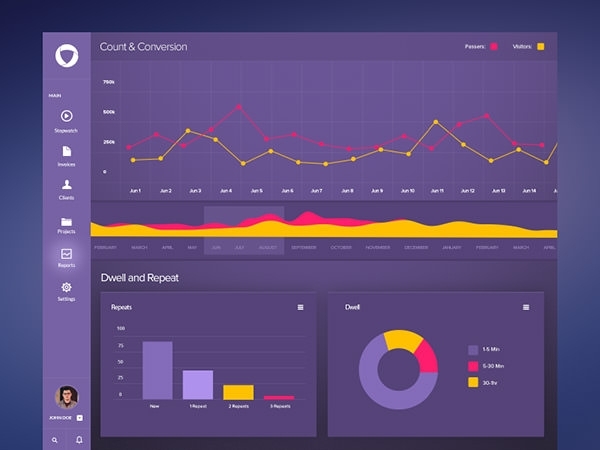 A simplistic administration panel design can be made to look more colourful and attractive than you can actually think of! 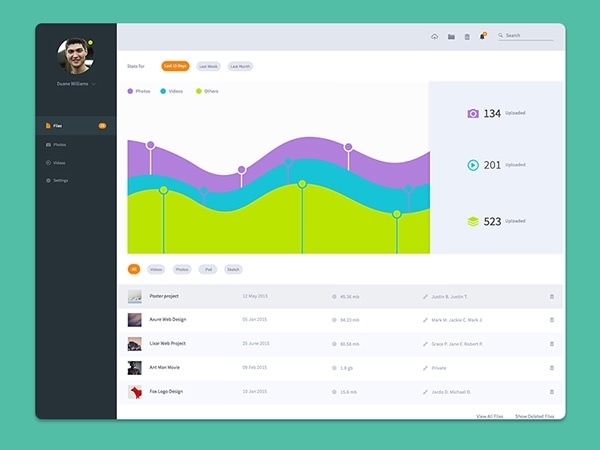 Thanks to the free PSD admin templates which are readily available for download. 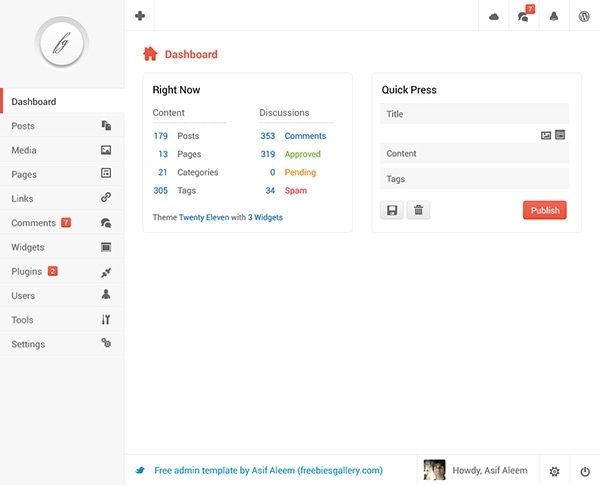 If this is the first time you are planning to design the admin template, look for the premium and free admin templates which comes with quality design and many other cool features. 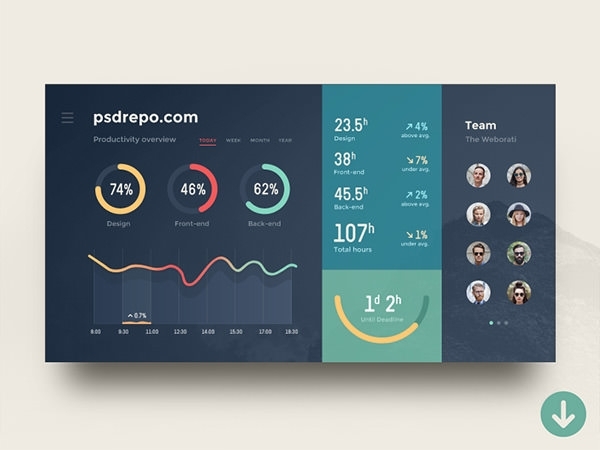 Generally, all the PSD templates are compatible with the latest browsers and OS and have the latest design trends for the modern day admins! 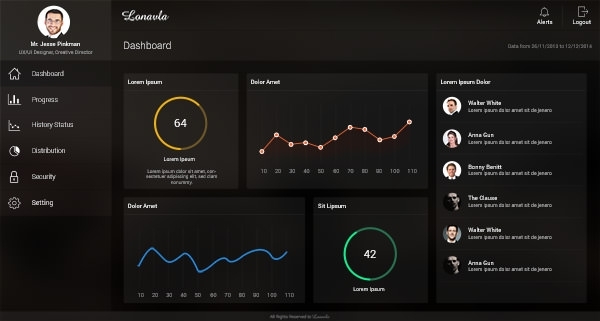 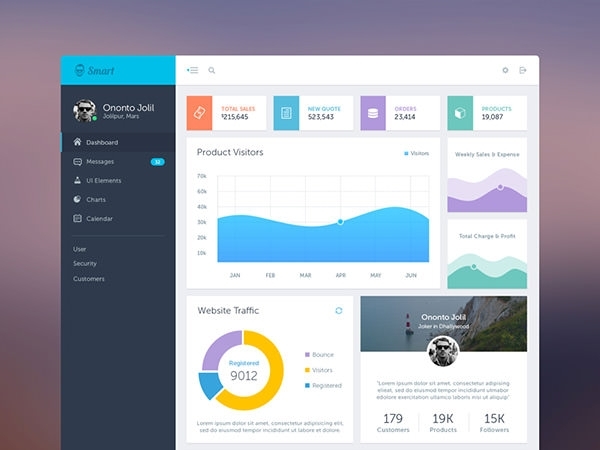 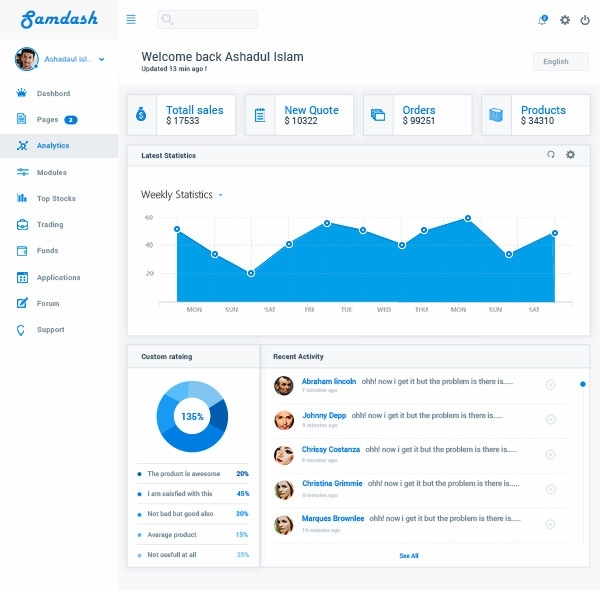 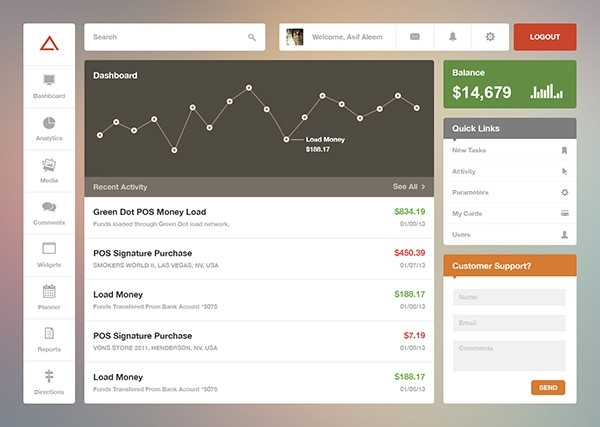 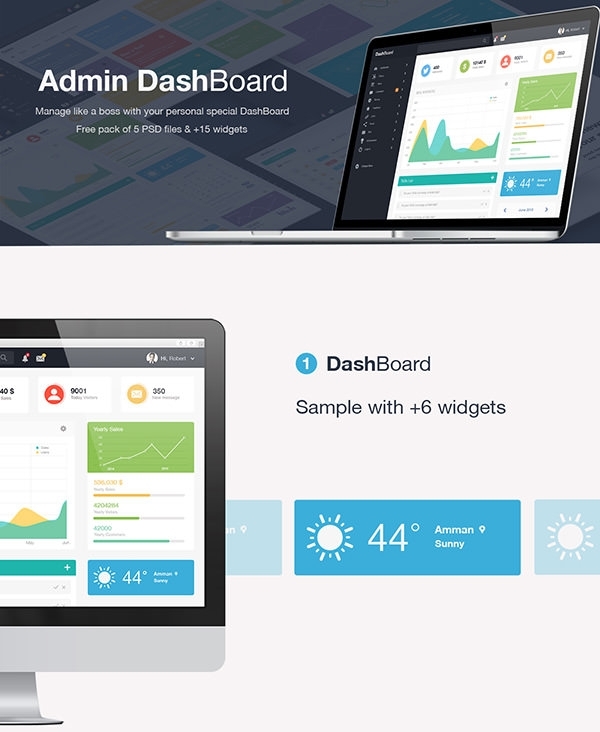 For dashboard design, there are some common themes that have become popular among the designers. 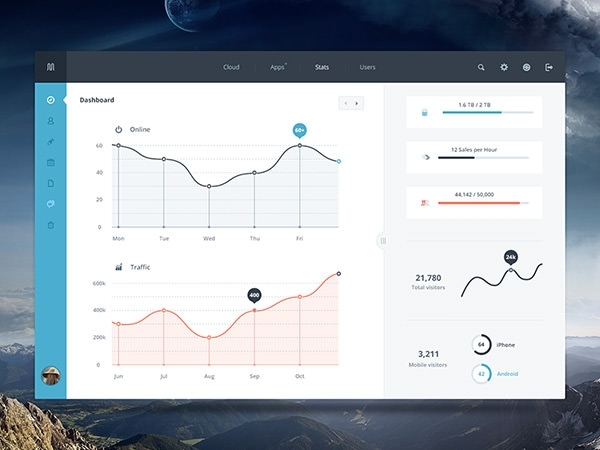 For instance, Charisma is a free, responsive, multiple skin admin template which is featured with premium quality admin template. 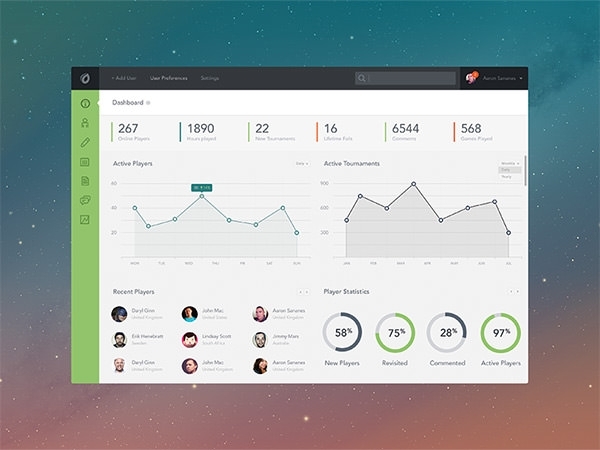 It is highly responsive and comes with 9 different themes to suit the application type. 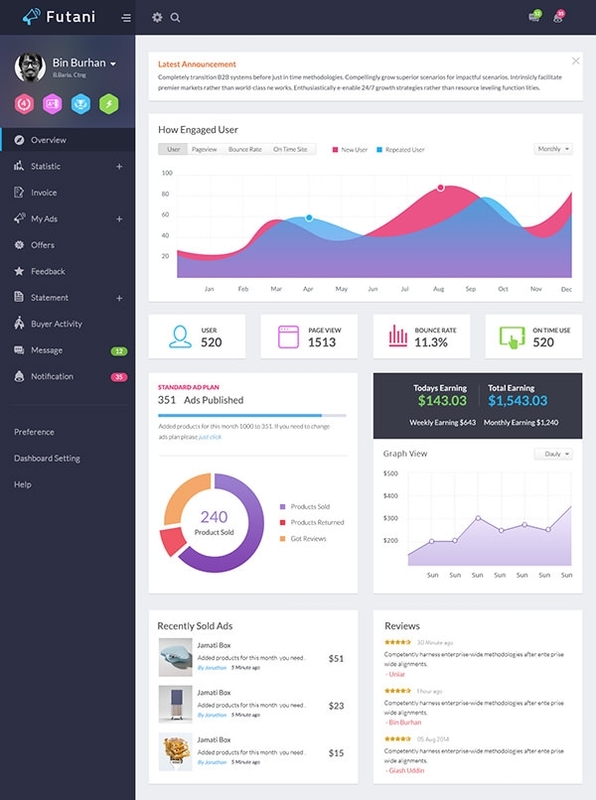 Apricot Bootstrap, DefOne, AdminEx 3, Adminre, Londinium, Bracket, Minoral Premium, Adminise, Gemini, Neu, Caplet, Bars Web App Admin Panel HTML, ZAPanel etc. 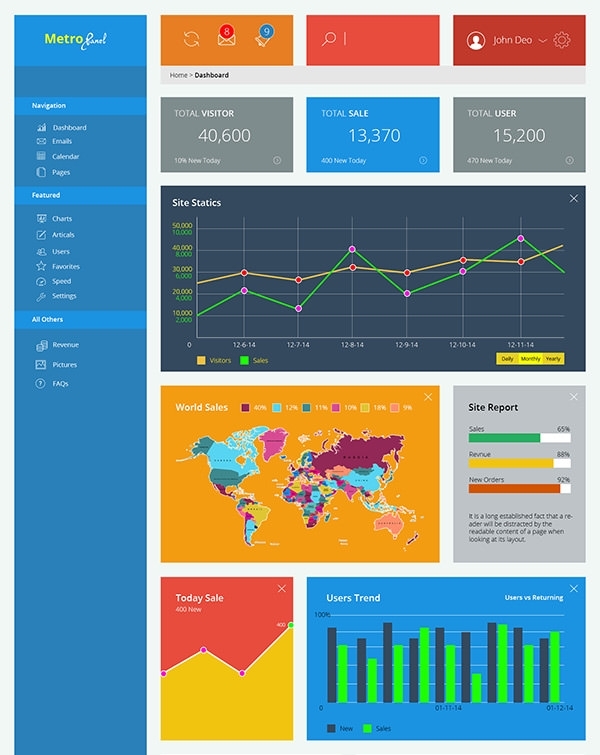 are the other popular widely used free templates that come with reusable PSD files for all your admin panel designs. 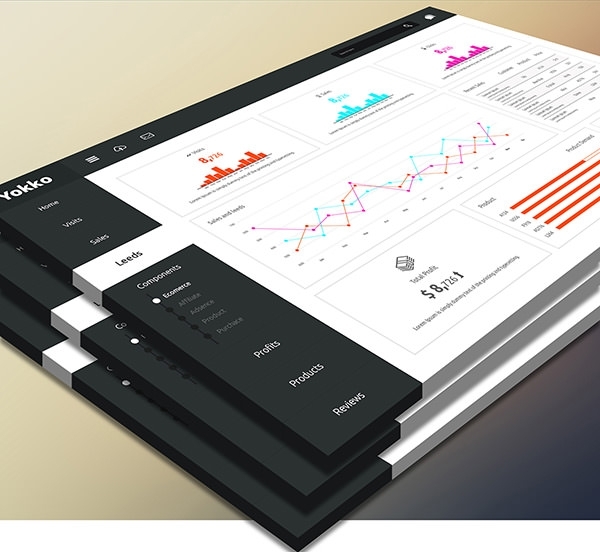 Developing a successful web-based application is more than just designing beautiful buttons and backgrounds. 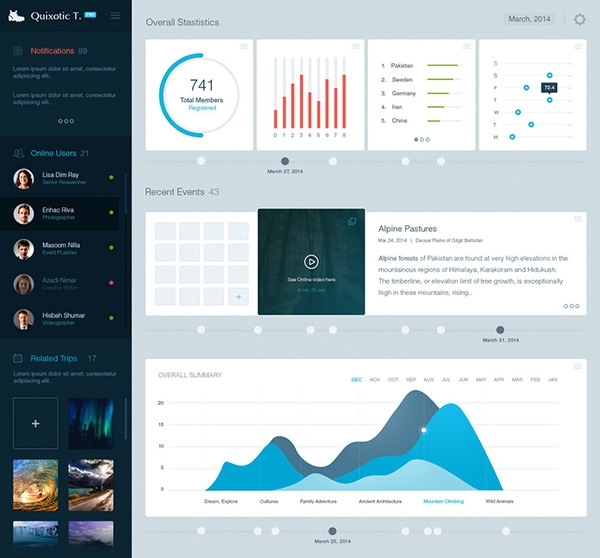 Amongst all this, the importance of good visual and functional design is extensively important. 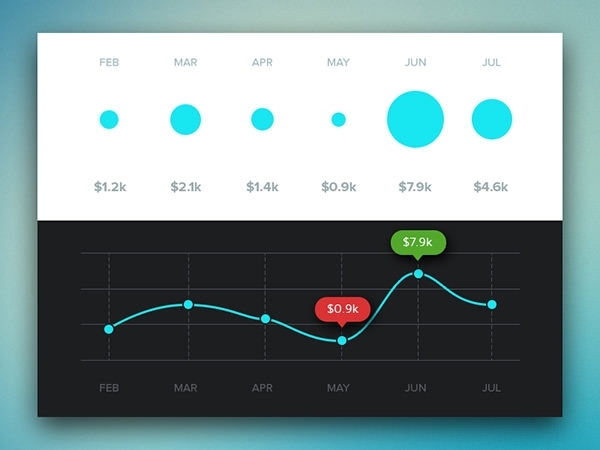 So using the PSD files will help you play with the designs freely to make any desired changes. 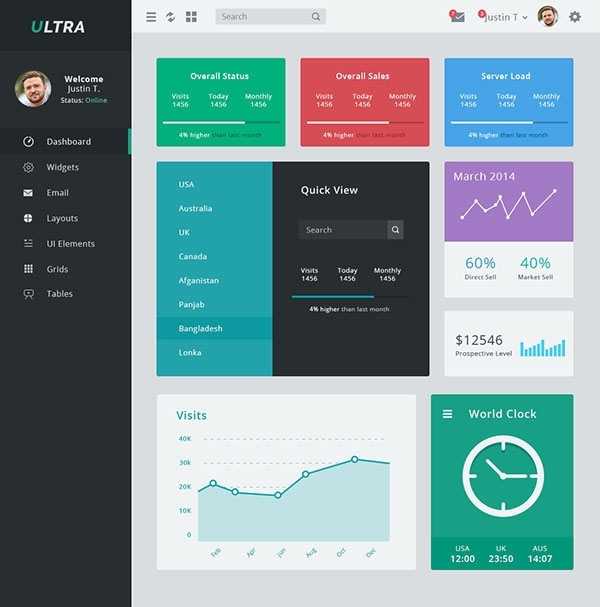 Design your own interface, icons and layout of your preferred colour, style and size. 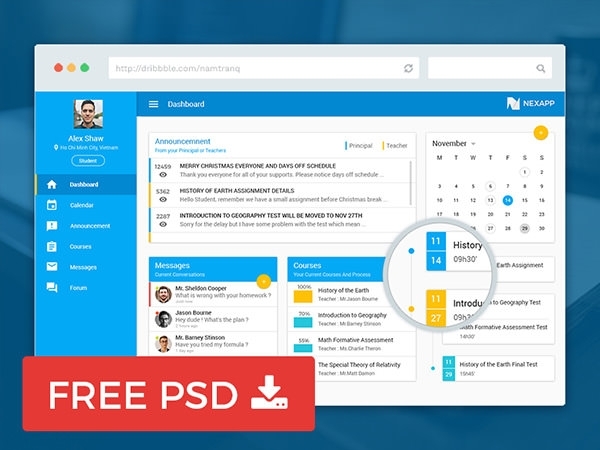 Get a good makeover done conveniently with the nice PSD Templates.